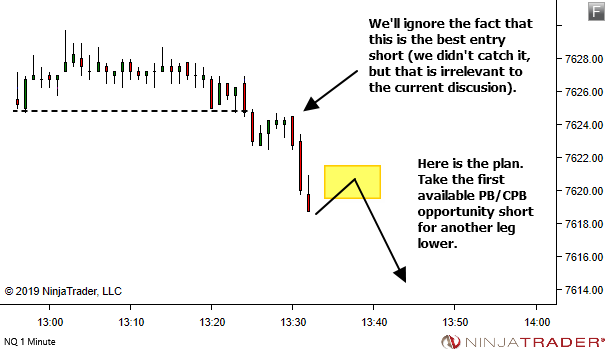 Not all trade setups are equal. 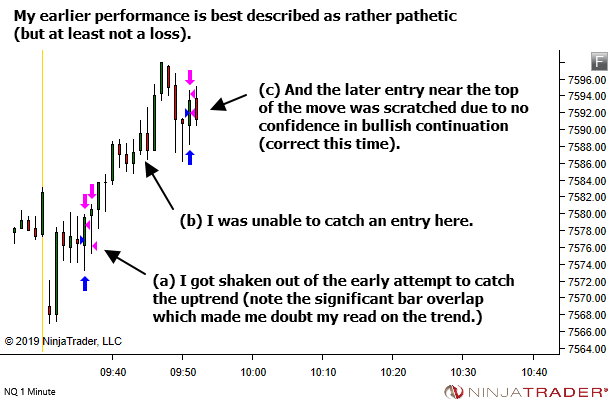 You need to collect and review your stats to determine which setups provide your A+ MUST-NOT-MISS potential opportunity of the day. 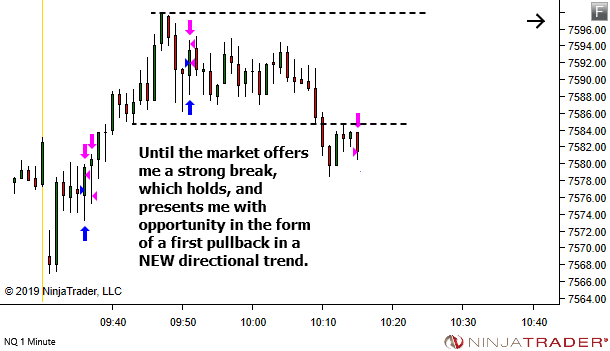 For me, the first pullback in a NEW directional trend is one of these MUST-NOT-MISS setups. No, they do not always profit. And sometimes they offer profits, but I mismanage the opportunity. But when they do run and I perform well enough to catch them, the profits can more than make up for any other failed attempts. 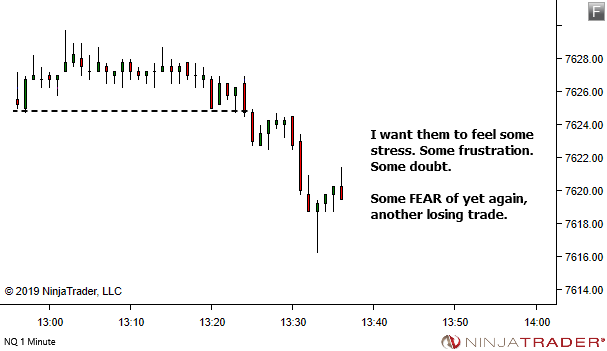 As always, we profit over a series of trades. Individual trades are irrelevant. Check your own charts, in your own market and timeframes. Note any sideways trend environments. 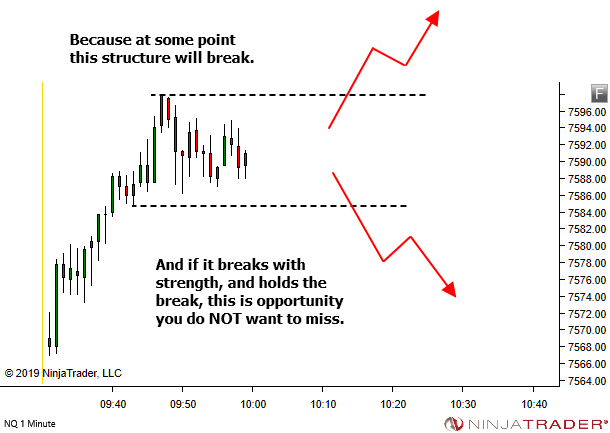 Find a breakout which occurs with some strength, which holds the break. 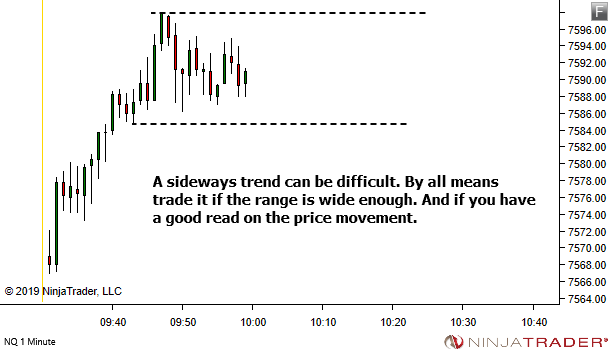 And see if you can also find edge on the first pullback into this new directional trend. 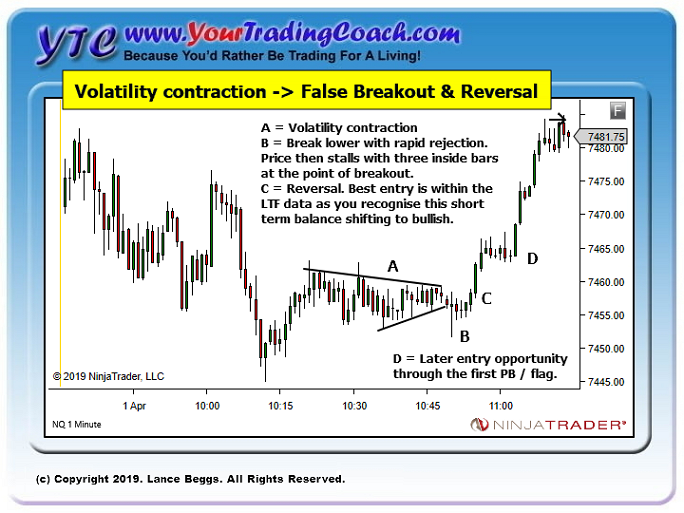 I posted the following image on social media on Tuesday, showing a nice example of a false breakout and reversal from a period of volatility contraction. The important point though… and the one which offers the most value to you… is not the image itself but rather the text that was posted alongside the image. 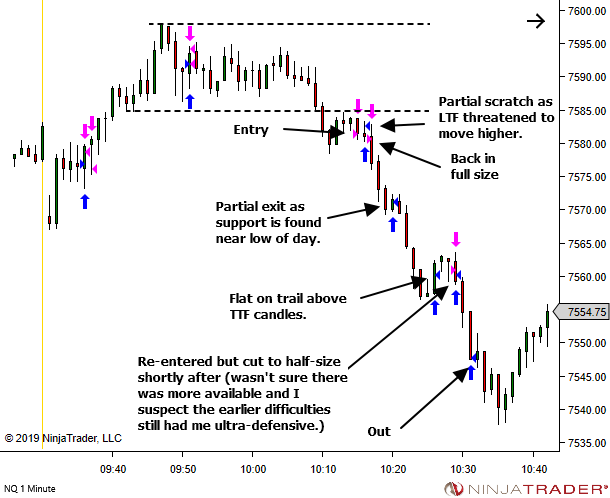 One of the best habits I acquired in my trading journey – EVERY DAY I find at least one price sequence which I find interesting and STUDY IT. Consider whether or not you might also benefit from actively developing this habit. (1) What does my price sequence study involve? 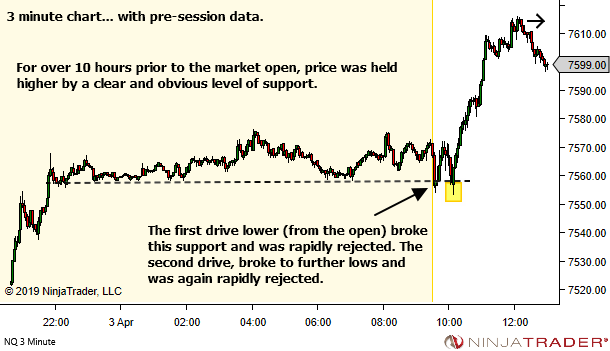 The study relates to observations in price action or market structure. It does not typically involve study of the trades taken during the session. I have a separate part of my review process for trades. Sometimes it is structured and will focus on a particular topic for a week or so. Maybe I will decide to study transitions from one market environment to another. 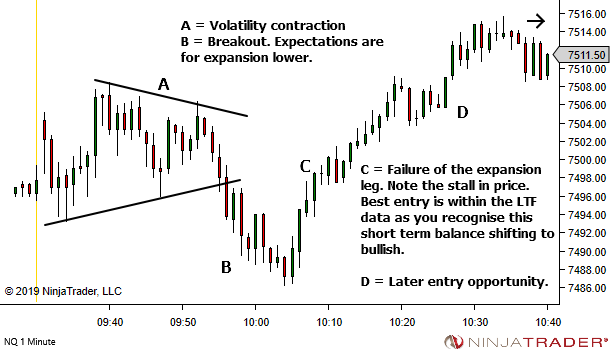 Or to study price behaviour on the break from a higher timeframe trap. Or maybe… well you get the point. If there is a particular topic of interest to me then I might focus solely on that topic for a period of time. But other times, when there is no particular topic of interest, the study will be unstructured and based on any observation which I find interesting. Often this will be a sequence which I didn't read well. Perhaps something I didn't see coming. Or something I didn't react to quick enough. 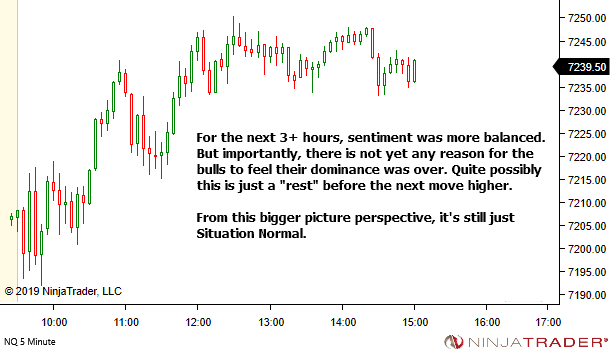 For example, the shift in sentiment occurring from point B to C in the volatility contraction above, is one that I was too slow to recognise and react to. So it became the focus of my study that day. (2) How much time do I devote to this study? Typically no more than 10 minutes. The topic will become obvious during the session. All it typically takes is a quick review, along with identification and recording of lessons learnt. (3) What are some questions I ask? That is largely going to depend upon the topic you're studying. And it should be self-evident. But it should relates to (a) how did price behave, (b) how could I have recognised this more quickly, and (c) how should I have responded to this information? 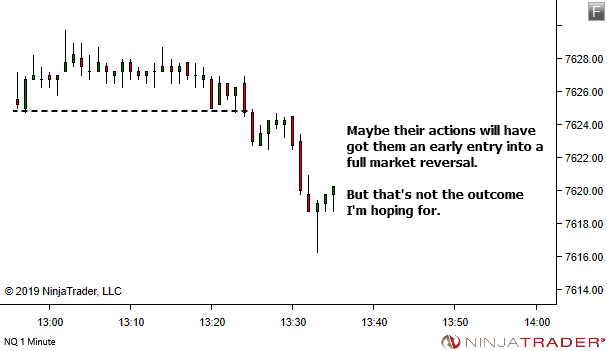 Tuesday offered a brilliant example of the saying, "The market doesn't repeat, it rhymes". Note the similarity – volatility contraction, expansion, and then opportunity available in the opposite direction as the expansion leg fails. 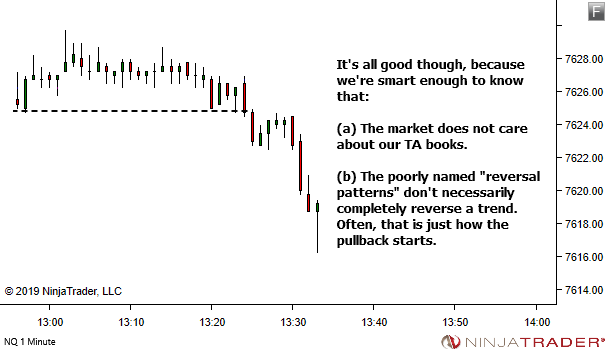 Let me be perfectly clear – I am NOT a pattern trader. But volatility contraction and subsequent expansion is one pattern that I do often see. And one that I do often take advantage of. Typically it's through seeking YTC PAT PB opportunity, on the first pullback after the breakout, expecting the expansion leg to continue to drive with momentum. For whatever reason, I've been slow to react to a failure of the expansion, for two days in a row now. I missed it on Monday. I missed it on Tuesday. Through reinforcing this lesson, I aim to ensure I will NOT miss it again. 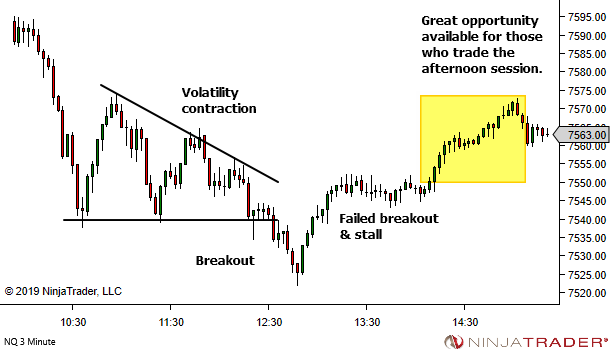 Thankfully, I'm not going to bore you with another example of a false breakout from volatility contraction. Ok, so nothing surprising so far. The review basically confirmed my real-time thinking. But then the review also picked up something that I "should have" been aware of intra-session, but did not consider at all. 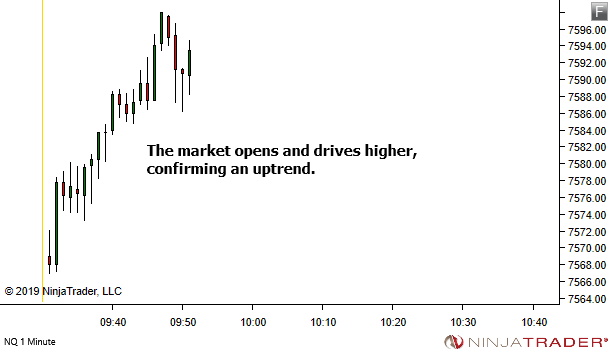 Let's look at the overnight data leading into the session open. Nothing changes here in terms of decision making. 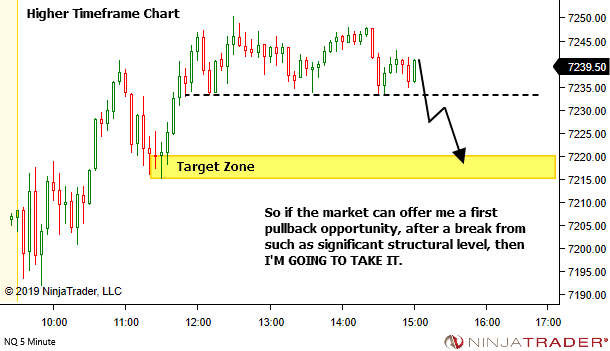 The failure of the second break is still the critical point at which I should accept that my "feeling" of a bearish market bias was wrong. But this additional information does add weight to the earlier analysis. And it's information I should have been aware of intra-session. 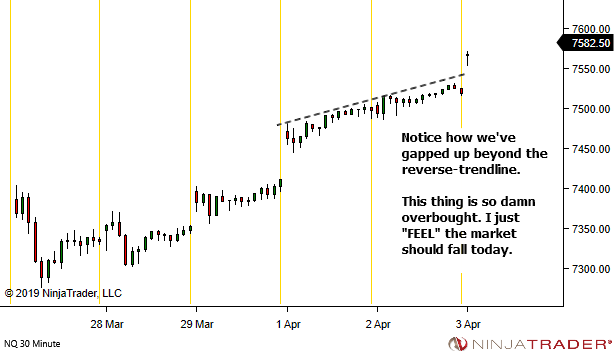 If the market sentiment was indeed bearish, then one of these breaks of a key overnight level, SHOULD have held. 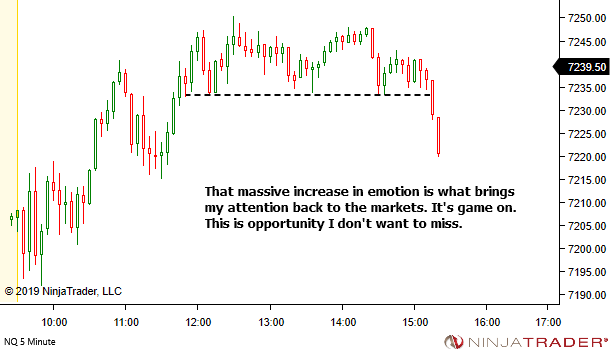 The fact that they couldn't hold confirms that my "feeling" about market sentiment is likely wrong. 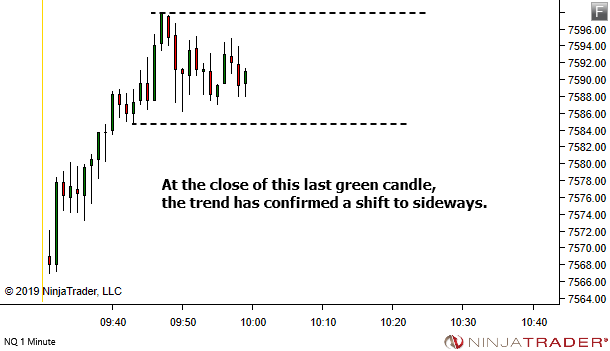 Watch for a break to the upside and further dominance by the bulls. 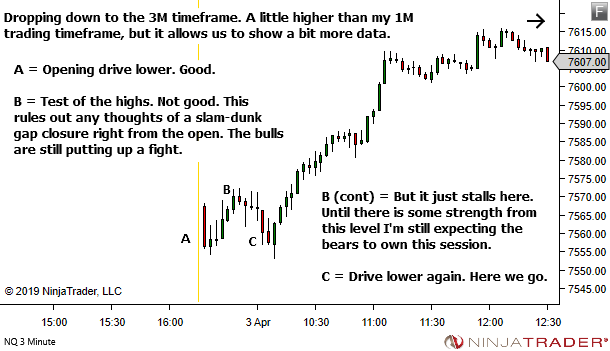 I do take note of key overnight levels pre-session. It's clear though, with hindsight, that this information did not make it into the session (at least not in the forefront of my mind). Lesson: Greater emphasis is required on pre-session levels. I'm not going to do another. But I just can't resist sharing this. This is one of the key benefits of a Market Structure & Price Action Journal. 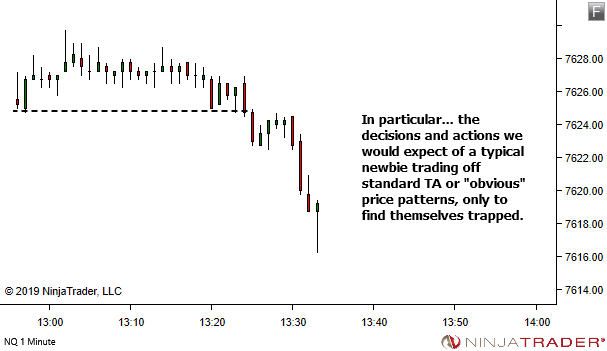 Over time you start to see familiar patterns of price behaviour. All of which builds skill in real-time assessment of market bias and real-time recognition of opportunity. I received this request on Facebook, following the original social media post: "Please post something on Indian markets like NIFTY or BANKNIFTY. Thanks". My response: "I don't trade the Nifty so can't help you with that market. But I highly recommend you commence creation of your own Market Structure & Price Action Journal. You'll achieve far greater value from that daily practice, than from anything I could provide." 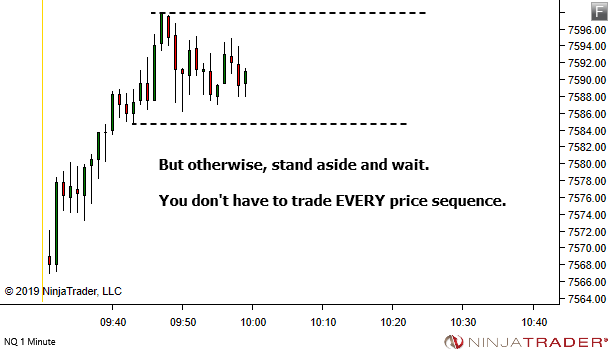 Regardless of your market, your timeframe, or your strategy. Give it a try and see if you get the same benefit that I received. 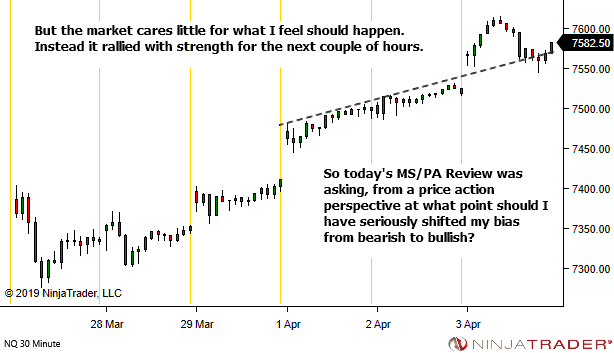 I want to write a short followup to last week's article – First Pullback After Significant Structural Change. Email feedback during the week made it clear to me that some information which I'd assumed was obvious, was not actually obvious to all readers. And as with most assumptions, it's actually INCREDIBLY IMPORTANT. 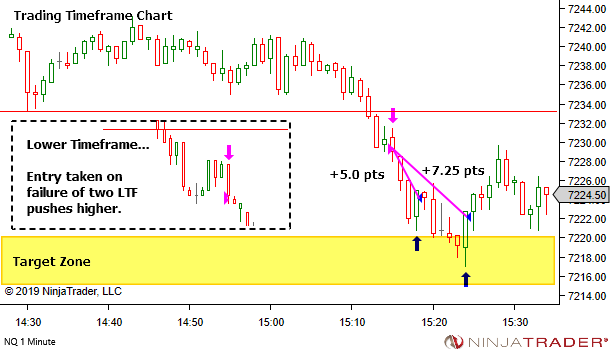 The article dealt with a trade taken well after my usual "stop trading" time of 12:00ET. 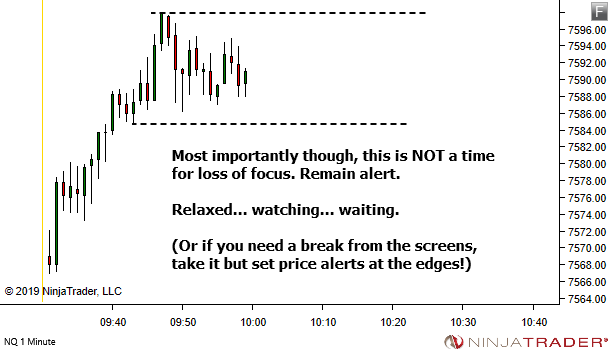 This is normally time for my post-trading routines before heading off to bed. 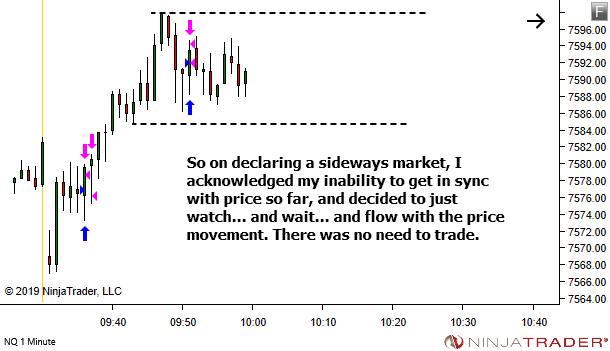 But on this day I wasn't tired, so I went on with other work while keeping one eye on the markets. Not with any real intent to trade. Just to follow along. Unless of course an A+ trade opportunity came along, screaming out to be traded, and then it's game on. 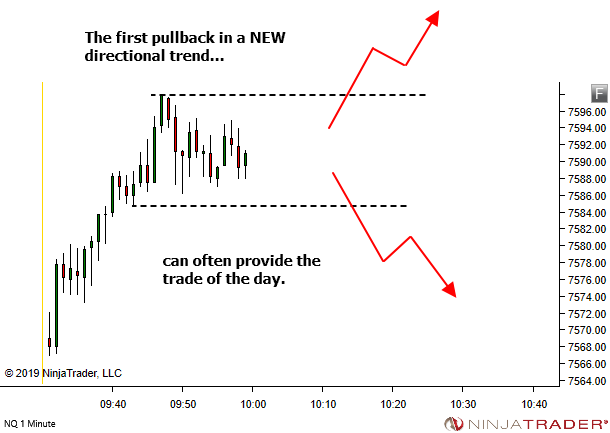 If you want to see the trade, check out the original article – First Pullback After Significant Structural Change. 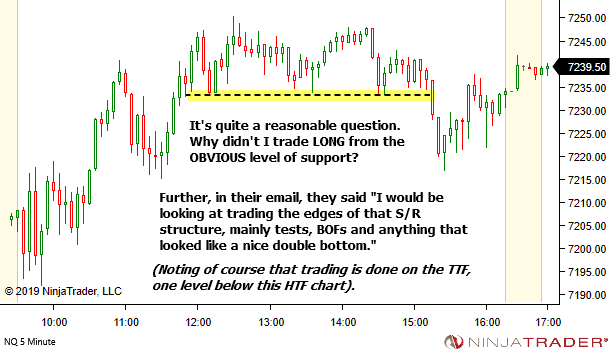 So this led to a reader asking why I didn't trade LONG from the obvious level of support? 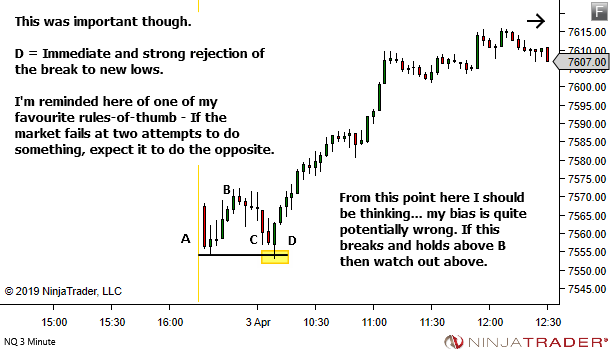 My error last week was in approaching the trade and surrounding context purely from the technical charting perspective. 2. Break from obvious structure. 3. 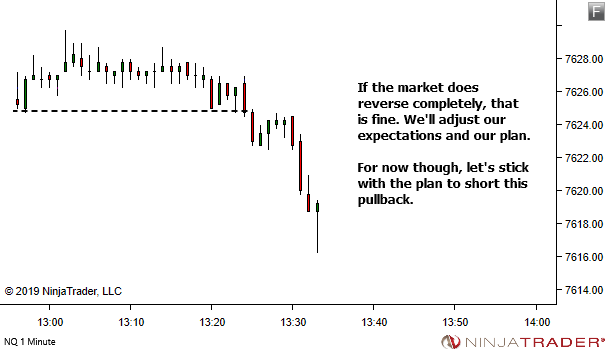 Trade the first pullback. I didn't sufficiently explain the underlying reason WHY I consider this an A+ opportunity. 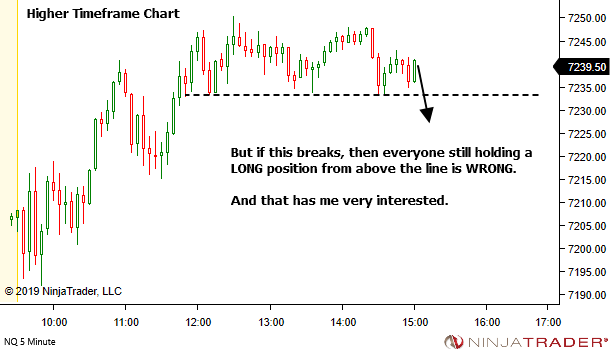 And why opportunity LONG from the obvious level of support was something I was happy to pass on. 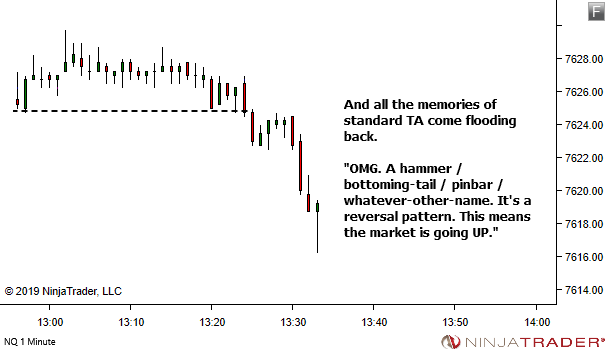 I think the cause of the misunderstanding here is that you're failing to appreciate how little I wanted to be trading. My trading was over. I had almost zero interest in trading. I had better things to be doing. UNLESS something absolutely amazing set up. So yes, had I been trading from 12:00 I would have been seeking entry LONG, as you've suggested. Price held that level nicely. But this is not the kind of action I want to take after a trading session is over. Can you see the difference between the two sequences? 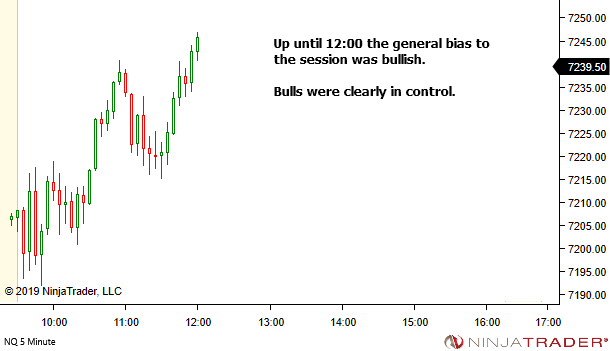 The sequence from 12:00 to 15:00 is just a continuation of the earlier session bias. But the move after support was broken is different. 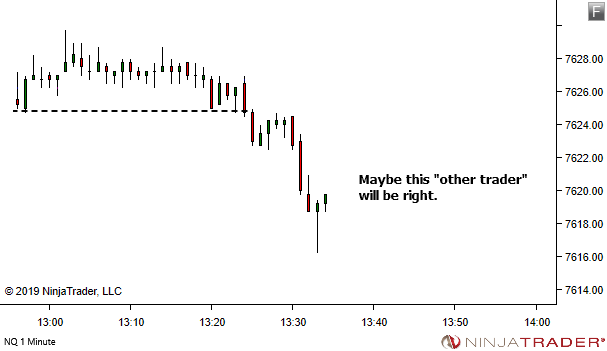 Suddenly A WHOLE LOT of traders are wrong. 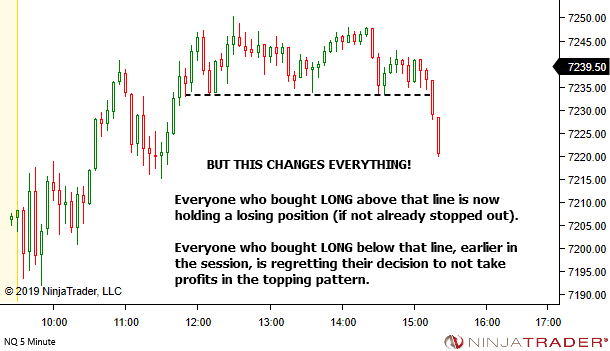 Everyone who is still holding a longer-term long position, established at any time in the last 3 hours, is suddenly in a drawdown. This is the kind of action I want to trade. Something that traps a whole lot of people. Something that shocks the market. Otherwise, I'll pass. 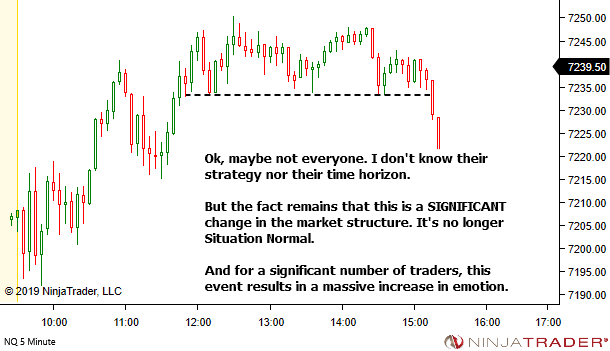 The break of support is something which SHOCKS the market. Something that results in a massive increase in emotion. 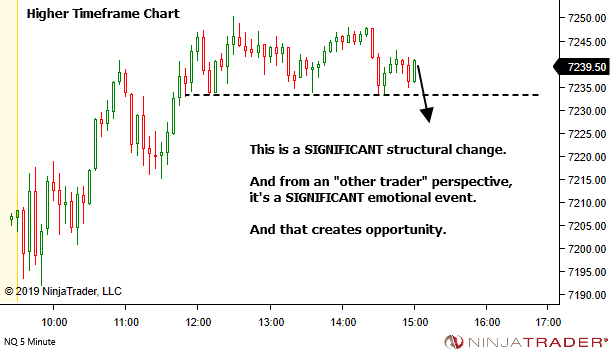 Viewing charts from the perspective and emotion of "the other trader" is the key premise underlying my whole trading approach in the YTC Price Action Trader. 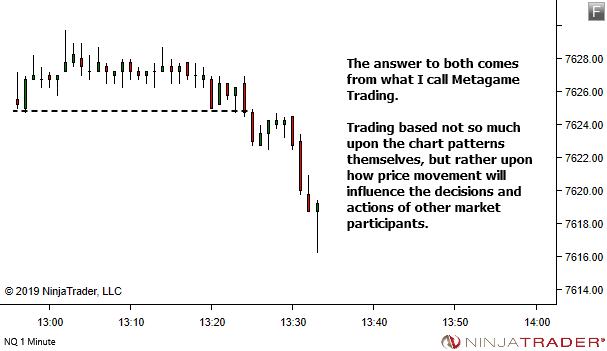 Outlined in Chapter Two and then evident in the whole analysis and trade process. 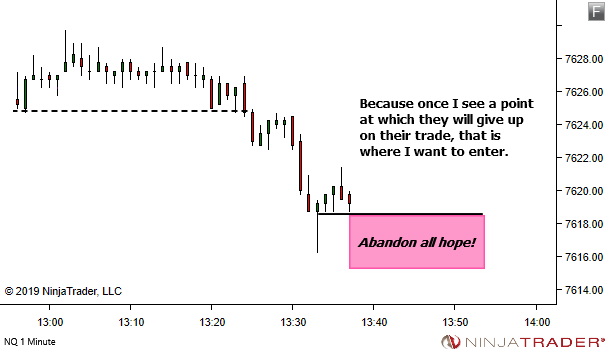 The same applies with every trade you see within my newsletter and blog posts. 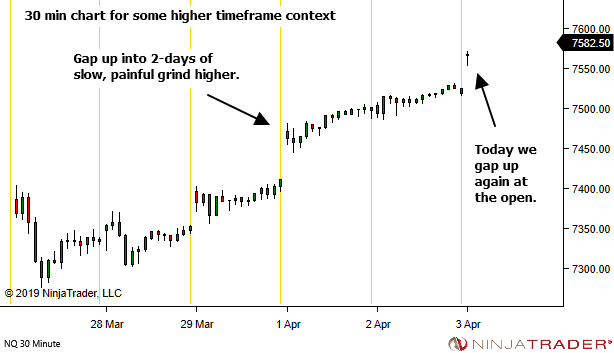 Even, as in the case of last week's article, where the discussion focused solely on the technical aspects of charting. 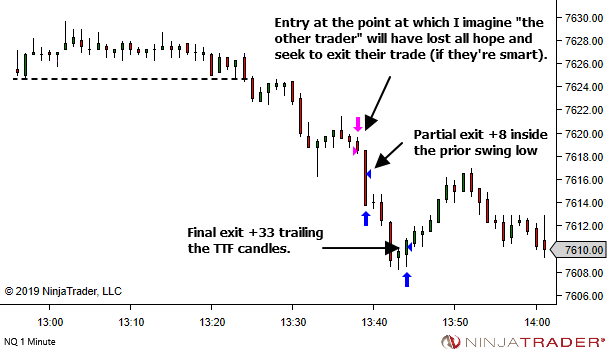 Look to my charts from the perspective of "the other trader". It will be there somewhere. 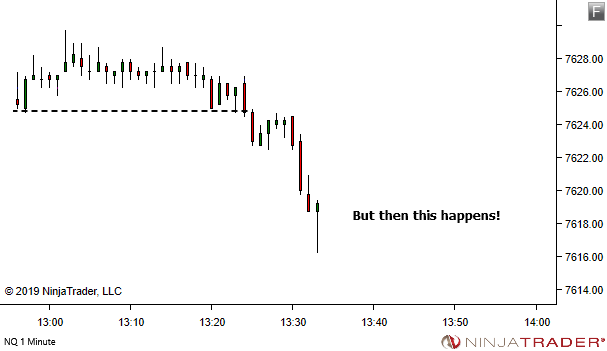 I don't often trade after midday Eastern Time. It's the middle of the night here and I'd much prefer to get some sleep. But from time to time I'm alert and awake and there is no chance I'd be able to sleep even if I tried. So I'll complete some of my post-session review and then go on with other work, while keeping an eye on the markets. 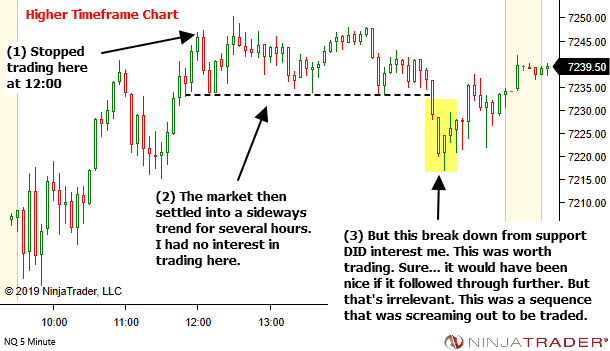 The default intent is to NOT trade… unless it's screaming out to be traded. Here's one example. A trade that is so damn obvious I would have been kicking myself if I missed it. It's a YTC PB trade. But what is important is not so much the trade itself, but WHERE it happens in the "bigger picture" market structure. 3. 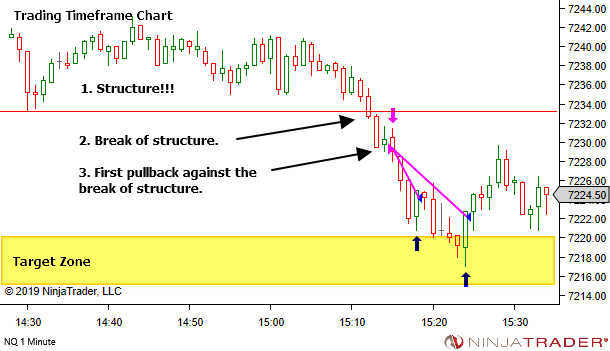 First pullback against the break of structure. It's no Holy Grail. Sometimes there will be losses. And sometimes you'll miss the trade. But it's opportunity I do NOT want to miss.